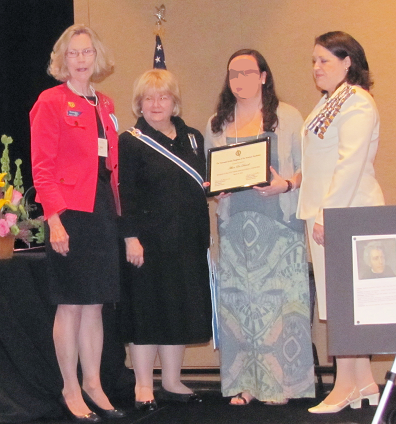 The Daughters of the American Revolution is a non-profit, non-political volunteer women’s service organization. DAR members are dedicated to promoting historic preservation, education and patriotism in communities across the nation. 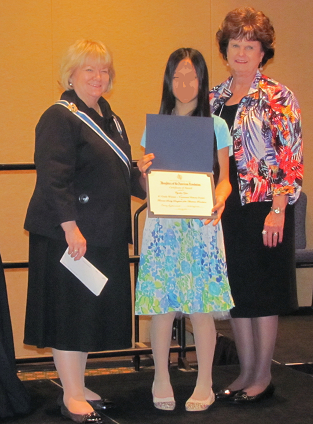 Education committees sponsor several contests, awards and scholarships. The American History Essay Contest is for students in grades 5–8, and the Christopher Columbus Essay Contest is for grades 9-12; “Tennessee History” sponsors a contest – often a poster contest — featuring historical Tennessee themes for grade 4-7. 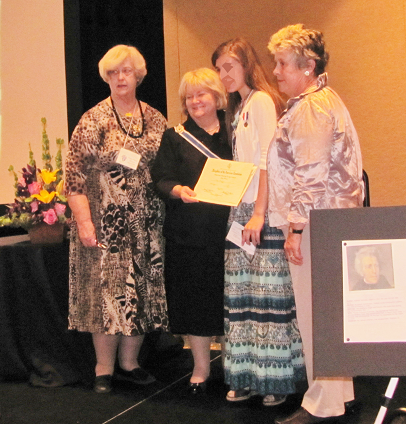 Also various education committees administer the awards for the “Outstanding Teacher of American History” and a myriad of scholarship opportunities for students in various fields of study, including the State American History Scholarship, the TSDAR Scholarship, the Ellen Davies Rodgers/Zachariah Davies Scholarship, and the Chaffin Hands of Service Scholarship. Patriotism Committees give “Community Service Awards” to local citizens who have made outstanding achievements in cultural, educational, humanitarian, patriotic, and citizenship work in their communities. We work with and recognize others who volunteer their service to our military veterans, and give a “DAR Service for Veterans – Outstanding Youth Volunteer” award to deserving young people. Through our “National Defense” committee, we recognize “ Youth Citizenship” for students in grades 5-11; and the “DAR Good Citizens” committee honors outstanding senior class students with this most prestigious award. 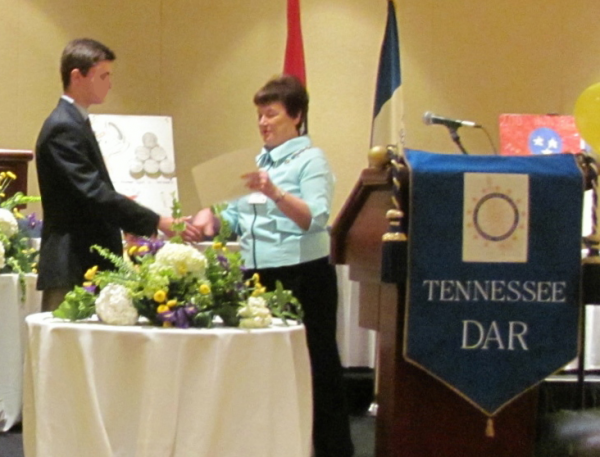 All students and educators are invited to participate and learn more about the educational programs the DAR offers through the Tennessee Society. Educators, parents and students are encouraged to contact their local DAR chapters for more detailed information on programs provided in their community.